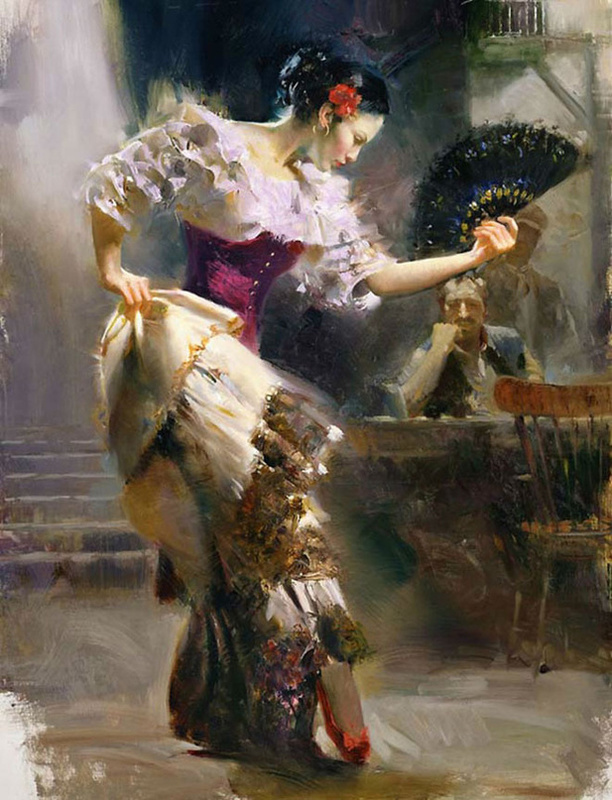 Pino Daeni (November 8, 1939 – May 25, 2010) was an Italian-American book illustrator and artist. He is known for his style of feminine, romantic women and strong men painted with loose but accurate brushwork. 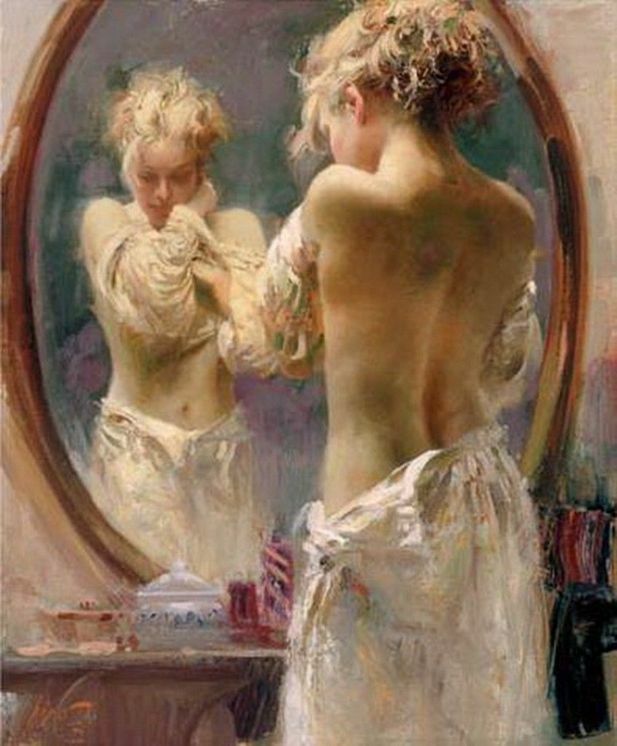 Considered one of the highest paid book illustrators of his time, he created over 3,000 book covers, movie posters and magazine illustrations.His subject matter often revolves around sensuous women in beaches and boudoir settings indoors in tetradic color schemes that evoke the 19th century with women that are beautiful yet confident. 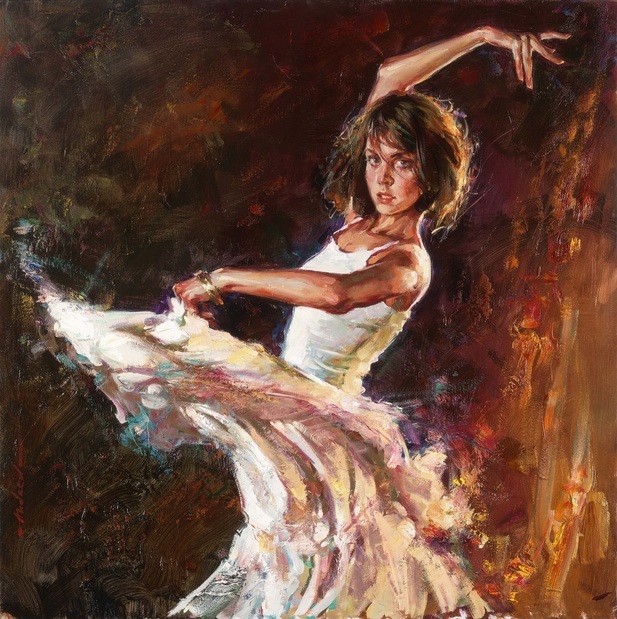 Pino painted with oils on linen. 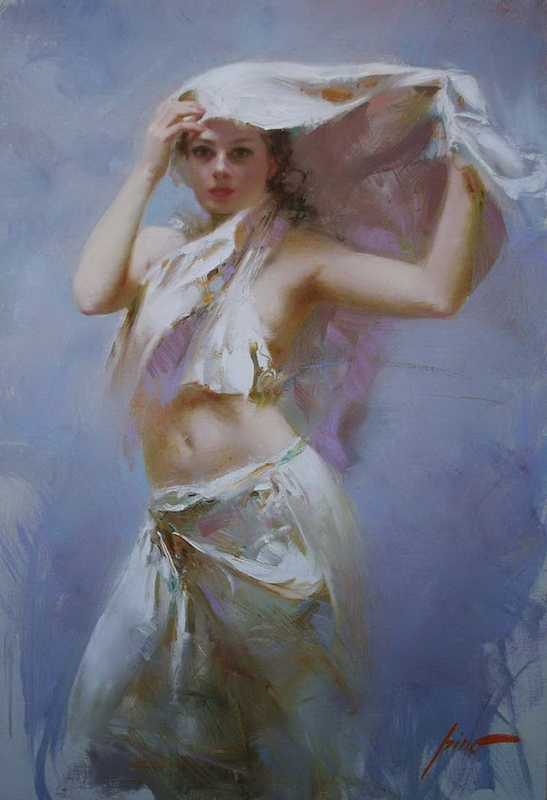 His trademark brushwork is characterized by softly lit females painted with smooth greenish shadows and distinctive, thick pastel-tinted highlights, often with vibrant colored dresses and backgrounds. 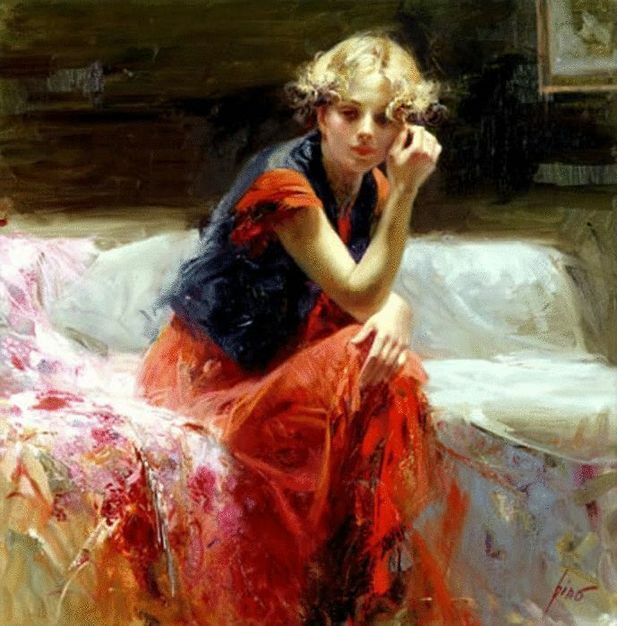 Noted for his ability to capture fleeting expressions and movement, his women are often lost in thought or waiting for their lovers.